The drive was organised to support the cause of a liquor-free New Year. This time, several residents in Jaipur, Rajasthan, decided to ring in the New Year sober. Under a drive organised by several NGOs and social organisations, around 8,000 litres of milk was distributed free-of-cost to around 40,000 people in different parts of Jaipur on Monday, as the organisations decided to celebrate the New Year as "Doodh Mahotsav" (milk festival). Posters pasted on the walls of the city carried a unique message: "Welcome the New Year by sipping milk, not liquor." (Daaru peekar nahin, doodh peekar karo navvarsh ka swagat). Under the aegis of Rajasthan Youth Students Association and Indian Asthma Care Society, a camp was organised at the main entrance of Rajasthan University where free-of-cost milk was supplied to visitors from 6 pm till midnight. "There is a strong message we want to give to the society through this drive: stop consuming liquor," said Deepak Vohra, General Manager of Lotus Dairy. The organisations which took part in the drive included Rajasthan Jaat Mahasabha, Milk Club of Rajasthan and Gayatri Shaktipeeth Vatika along with Lotus Dairy. Congress leader Pushpendra Bharadwaj with the help of Milk Club of Rajasthan organised a milk festival in all 13 wards of Sanganer. 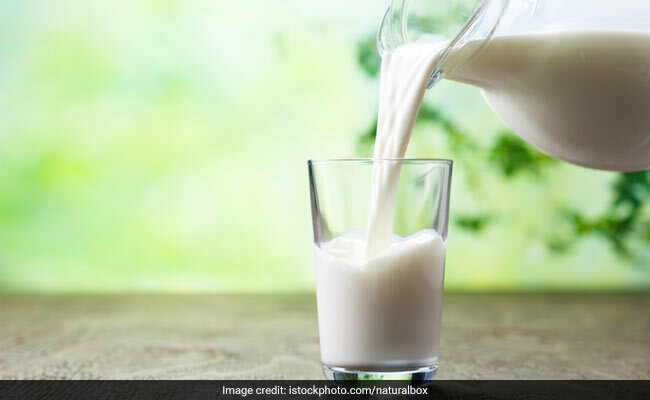 The Rajasthan Nurses Association has said it will distribute hot milk at SMS Hospital today. "Milk is being served to people by our group for the last 13 years. However, in the last five years, there has been a phenomenal rise in the number of visitors who supported our cause and said no to liquor on the New Year's eve."